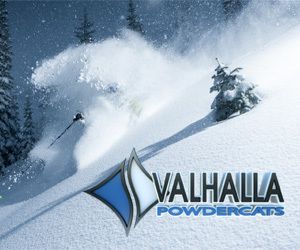 Here is a little teaser of what spring skiing is like up at Great Canadian Heliskiing. The views are eye popping, the terrain is mind blowing and the vertical looks leg burning! I really like how this video captures just how majestic high alpine skiing can be. It is both thrilling and relaxing. A paradox I know, but a paradox we thirst for all summer long. This video could be a sign of things to come in sport filming. This edit was shot completely using a drone. Nothing new we know, but this drone was flown without a pilot. That's right, autonomous drone technology has trickled its way into sports photography. Is this a sign of SkyNet and the robot apocalypse? Perhaps. Until then, enjoy this cool filming experience by Xavier De Le Rue at CMH Galena. Not sure if it gets much more Canadian than this! 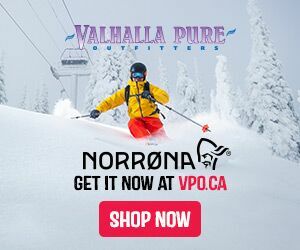 RK Heliskiing has done something really cool. They have built an cie rink on an alpine lake at 8300ft! 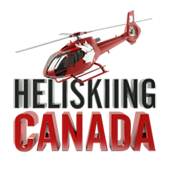 You can sign up for what will be an incredible experience with RK Heliskiing and be part of a mountain high hockey game. If hockey isn't quite your thing, you can book a trip with family and friends to go for an alpine skate, enjoy some lunch and take in all the scenery has to offer. The price is just $350 per person which isn't too bad considering you get to ride in a helicopter and get some uninterrupted icetime. Small gym bag is allowed but keep it small. We have weight and space restrictions. $349+ tax per person. Minumums apply. The Shamrock Lake Rink is created on an Alpine Tarn. Although we try our best to keep the pond surface up to scratch, it may have an uneven surface. It is our commitment to give you the best experience possible. We continually clear the rink as well as flood the ice to create a smoother skating surface. Peak Travels had some epic snow for this trip! It looks incredible. Add that to the Snowwater experience and I am sure these guys will be dreaming about this trip for a while. As Partic says in the video, at Snowwater they want you to go home tired! They do this with guaranteed unlimited vertical. Snow storm roll in? No problem, they shuffle you right into the cat standing by. World class food - check. Going home with an experience you will never forget - CHECK! Indulge in a soulful journey to a dreamscape like none other on earth. With spectacular aerial footage, emotion-invoking powder turns and incredible ski and snowboard action, Sherpas Cinema captures the essence of what we call the "Mica Magic" in our newest video. Dive in and experience this snapshot of Private Heliskiing at Mica where your own private helicopter, five-star chalet, and 500 square miles of epic ski terrain in the Canadian Rockies are waiting for you. Jason and the Stellar Team are ready for another epic season! 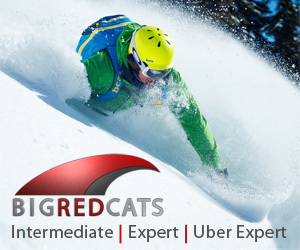 The guides are trained, the heli's are logo'd and the snow has been falling. Stellar Heliskiing is ready for the first guests of the season. Of course, the team had to 'test' out the powder and terrain just to be sure is was as awesome as they remembered! 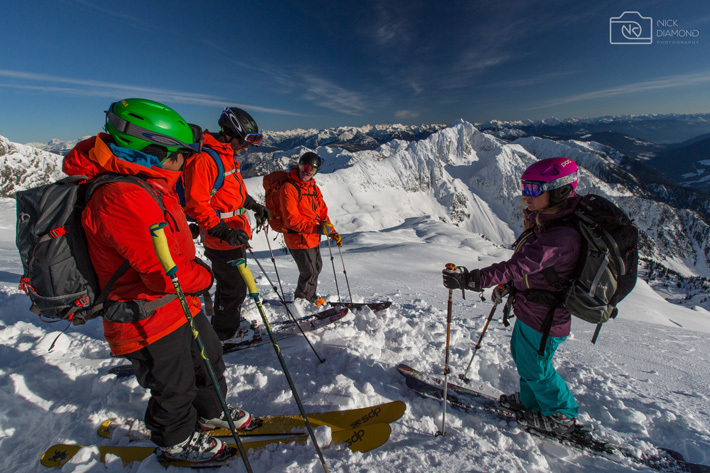 This season Stellar Heliskiing has partnered up with the Kaslo Hotel to offer multi-day packages. This quaint little establishment sits in the middle of a classic Kootenay town. The welcome is warm and the people of Kaslo are very friendly. After a day finding epic powder lines with Stellar, you can relax and enjoy the hospitality the Kalso Hotel has to offer. Thanks to Nick Diamond Photography for sending along a few pics. 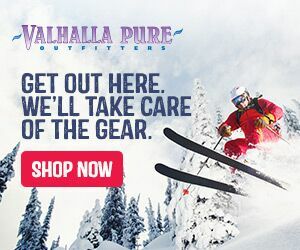 Nestled in the mountains around Revelstoke BC, Outside Magazine discovers what is so special about Eagle Pass Heliskiing. They find out what a day in the life of an Eagle Pass Heliskier is all about: Flying and Powder!